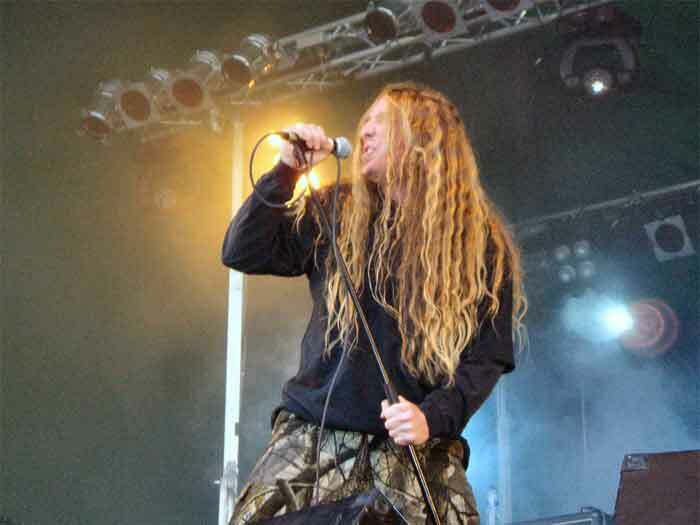 Obituary are undoubtedly among the major players in the world of Death Metal. They have been credited as being one of the pioneers of the genre. I first came across Obituary when my best and oldest mate Ric played me a compilation album entitled ‘At Deaths Door‘ in 1990. Obituary are one of the bands on there with the album with their song ‘Til Death (from their Slowly We Rot album) which is not only one of the stand out tracks on that album but is still one of my favourite Obituary tracks to this day. The guys are currently a few days into what is already a successful Kickstarter campaign to self release their next album and it was from me sharing that campaign on the All About The Rock Twitter page that I was able to get in contact with their frontman John Tardy. I would like to say a big thank you to John for agreeing to do this interview with me. 1) You guys are currently a few days into the Kickstarter campaign for your new album, the target of $10,000 was smashed early on – how has the bands reaction to this been? What does this mean to the band? What are the reasons for doing a Kickstarter project? This campaign has been awesome and just confirms again what we already know and that is that we have the greatest fans in the world. We are using Kickstarter to raise enough money to release an album on our own. This is not a bash against record companies, it is just what we want to do. Years ago this would not even be a thought, but today we feel everything is in place for us, for better or worse, give it a shot. 2) Can you tell us a bit about the new album? Album title, song titles, inspiration for the songs? No name or song titles as of yet, but I can tell you that this is every bit of a classic Obituary sounding album as possible. Some fast, some slow but a lot of the meat and potatos that make up that Obituary sound. 3) Will the album be released via a record label at a future date? That really depends on how much funding we get in place and that is not just relying on Kickstarter. Kickstarter has giving us a great start, but we still have a ways to go. The initial funding and what we have in place is a great start and it is going to get a master done for us. That will give us a lot of flexibility and control over what happens next. 4) What do you think your future relationships (if any) with record labels will be? We started off talking with the guys from Century Media and they are great. 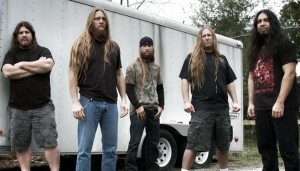 Obituary fans first and a great label for their bands next. When we first talked with them we told them our idea to do this largely on our own and they were very supportive and offer to help in anyway they could. Very cool of them and they are first on the list of labels we would be happy to work with. 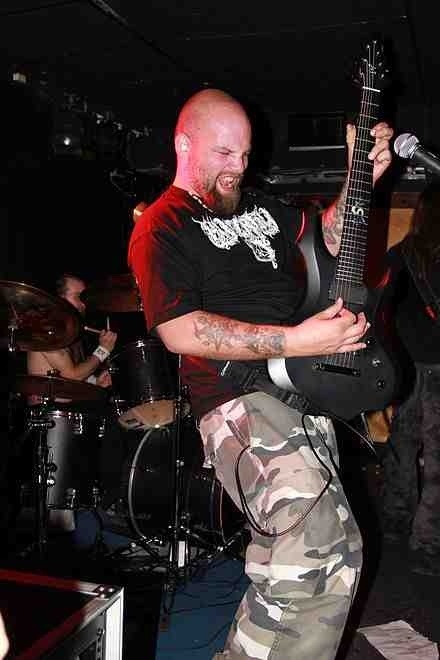 5) Terry Butler has worked with other legendary DM bands Death and Six Feet Under as well as Massacre. What changes/influences if any has Terry brought to the band? First Terry is a long time friend of ours and it feels like he has been in the band forever. He is so awesome and fits right in. 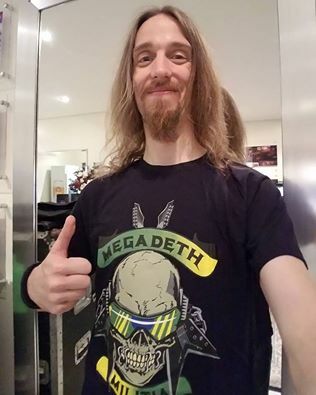 He is such a fan of the metal scene that his input is always around us. He has not done much writing as of yet but has total freedom to run his bass lines how he wants. His sound and style is just an anchor for us. 6) Your voice is unmistakeable, did it take you a long time to “find your voice”? Do you have to rest your voice before and after gigs for it to recover? 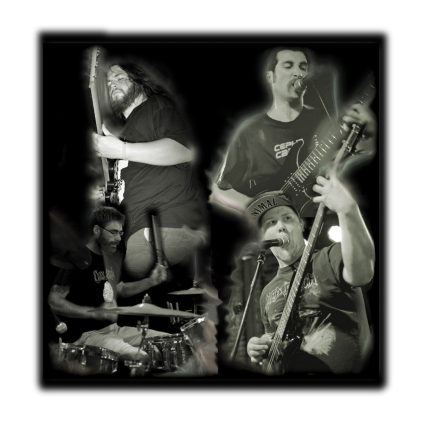 We started off heavy influenced by band like Savatage and Nasty Savage but it did not take us long to slide in to what we really want to do and that is be just a heavy as possible. Today that is what we try for heavy! Not the fastest, not the slowest but just as heavy as possible. Touring does take a lot out of you especially the older you get. I have learned a lot about how to treat my voice and that has really helped. With all the things that I have learned, rest is the most important. I have also been very fortunate. 7) Are there any plans for a tour in support of the new album? 8) What bands are you currently listening to that we may not know about? I don’t think it is any surprise that I am usually one of the last people to get around to newer bands. I am locked in to my classic metal like Slayer, Venom, Frost and Possessed. 9) You guys have been around for a long time, is there any funny stories from being on tour or in the studio that you can share with us? 10) Being in a band on tour etc must be stressful at times. What do you like to do outside of the band to relax, have fun etc? Love watching and going to sporting events. Football, NASCAR and motocross…love going out in the boat and enjoying Florida. 11) Any final comments for our readers?